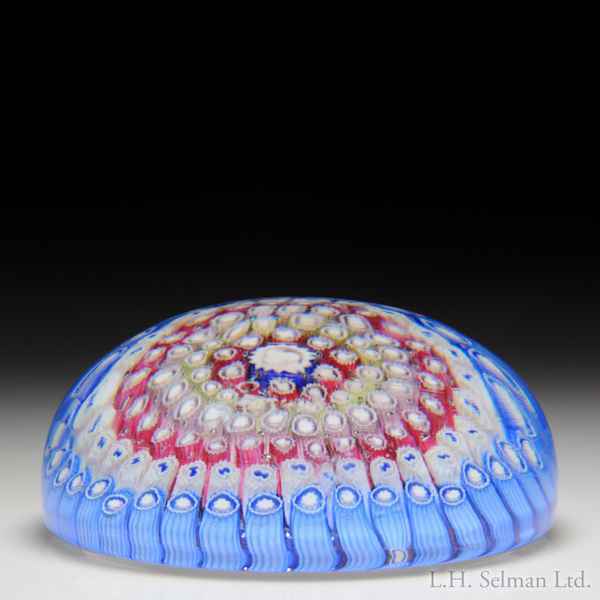 Post-classic Walsh-Walsh close concentric millefiori paperweight. A large central complex cane, in white and blue, is surrounded by six concentric rings of complex cog canes, in yellow, white, pinks and blues. Clear ground. Fine condition. Diameter 3 7/16".